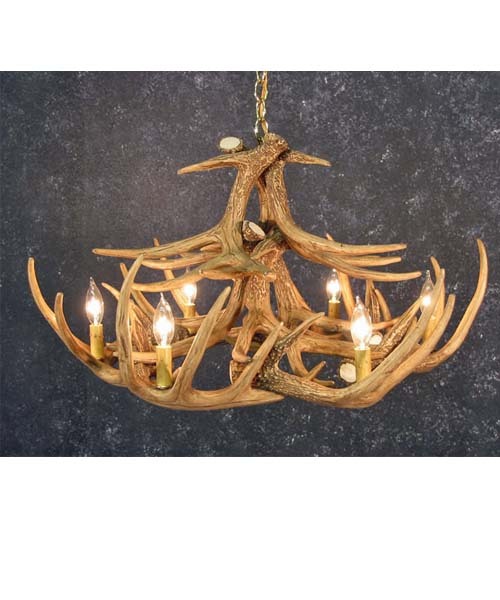 This chandelier adds some extra height with its 12 faux Whitetail Deer antlers. It measures 31" wide and 16" tall and weighs 13 lbs. Six 25w candle lights. Includes ceiling plate and 3' antique brass chain.